If your energy bills are rising, it makes more sense than ever to insulate your home. But the good news is advisers at ATC Energy & from the Scottish Government are on hand to answer your questions about insulation. If you don’t have any insulation, you’re probably losing about 26% of your heat through the roof and around 33% through the walls. 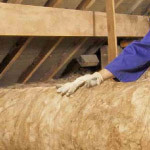 Adding the recommended 270mm of loft insulation could save you up to £175 a year in heating costs. Even if you have some insulation in your loft, by topping it up to 270mm you could save money on your heating bills. Filling cavity walls with insulation could add even more to your annual savings. Save energy at home. Find out about other easy ways to save energy at home. Just turning down the thermostat by 1°C can cut your annual heating bill by 10%. To make sure you still feel comfortable, your thermostat should be set between 18°C and 21°C. Up to £175 a year by installing 270mm of insulation if you don’t already have any. £25 a year by topping up existing insulation from 100mm to 270mm. Insulation Grants Scotland. 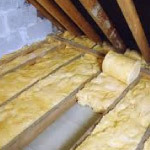 Heat rises, so loft insulation is especially effective. If your home has no insulation at the moment, around 26% of heat is lost through the roof. Loft insulation is an effective way to save energy and money and a well-insulated home keeps warmth exactly where you need it – indoors. And it should last you around 40 years, so you’ll enjoy lower heating bills for the long term. It’s often best to use a professional rather than fit loft insulation yourself. Insulation has to be installed carefully around electrical wires, lights and other equipment to prevent fire. £40 a year by adding a hot water tank jacket. £15 a year by adding primary pipe insulation. Insulation Grants Scotland. Insulate your hot water tank to keep water hot for longer. You can insulate hot and cold pipes too, so that your water comes on stream at the right temperature more quickly. Pipe and tank insulation are cheap and easy to fit yourself. You can also buy a cylinder jacket – complete with sleeves – to pop neatly over your tank. And you can fit pre-formed foam pipe insulation around any accessible pipes. £135 a year by insulating cavities inside your walls. £475 a year by insulating the outside of your solid walls. £445 a year by insulating the inside of your solid walls. Insulation Grants Scotland. 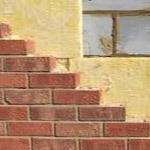 If your home was built from 1920 onwards, chances are that its external walls are made of two layers with a small gap between them. Filling this cavity can reduce heat loss. If you have a property with solid walls you can insulate them on the inside or the outside. Cavity wall insulation is simple to install, doesn’t cost much and is highly effective. And with the savings it will make you on your heating bills it can pay for itself in around two years. Insulating solid walls isn’t cheap, but it can make a substantial difference to your heating bills. Solid wall insulation costs from £5,500 to £13,000 depending on your house and what kind of insulation you have fitted. It can save you up to £475 a year. £30 a year by installing draught-proofing measures. Insulation Grants Scotland – Using strips and excluders to draught proof gaps around door and window frames can save you around £30 a year on heating bills. With gaps filled, less cold air can enter your home. Several types of materials are used for draught proofing, including brushes, foams, sealants, strips and shaped rubber or plastic. Draught proofing is an easy and cost-effective way for owners and tenants to reduce heat loss, with most materials available from DIY stores. Many of the sealant strips are self-adhesive, and fitting brushes to doors or letterboxes is a simple DIY task. If you live in rented accommodation, ask permission from your landlord before doing any work. £60 a year by adding floor insulation. Insulation Grants Scotland. Floor insulation includes adding insulation under floorboards and using a sealant to fill spaces where floor meets skirting board to save yourself around £60 each year. Timber floors can be insulated by lifting the floorboards and laying mineral wool insulation supported by netting between the joists. Be careful not to block underfloor airbricks in your outside walls, as areas under floors require ventilation to prevent damp and condensation. The variable options of Green Deal Cashback Scotland at first glance may appear overpowering with information overload, but in fact our advisers can determine very quickly which part(s) of the Green Deal will benefit you & the property you live in. Call our Green Deal Cashback Scotland information line for details 0800 6906909 or use our contact page and start saving money immediately.